Mediarex Sports and Entertainment has released its first taster for the Global Poker League 2016 that will feature live events being played in a Cube arena. Late yesterday afternoon, Alexandre Dreyfus – CEO of Mediarex Sports and Entertainment – posted a message on Twitter to say that the first of three Global Poker League announcements would be made this week. True to his word, the emails started arriving this morning about the plans already in place for the Global Poker League 2016 – and they look pretty impressive to say the least. 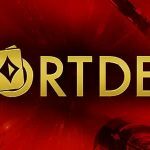 At the core of the plans is Mr. Dreyfus´ vision to “sportify” poker; and, to highlight that vision, the eye-catching element in today´s “taster” is the news that live GPL poker events will be hosted in a 10 foot cube – above which spectators will be able to see the player´s hole cards in real time. In terms of live poker entertainment, it is something that has never been seen before. 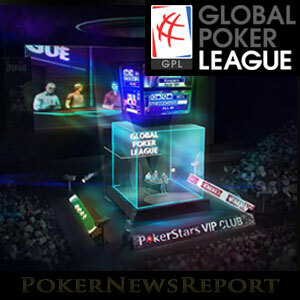 The provision plans for the Global Poker League 2016 are that there will be two leagues (or “conferences”) running simultaneously – one in the Americas and one in Eurasia. Each league will have six teams in each – each team consisting of five players – that will play against each other for a minimum of fourteen consecutive weeks either online, in a studio or at a live venue. In addition to being able to see the hole cards as you would on TV, the live audiences will also enjoy a game played at a much faster pace. Audiences will also be able to witness player’s emotions first hand as games will now be played standing, providing a more dynamic approach to gameplay. The six teams in each league will represent a specific location in the Americas or throughout Europe and Asia. Each team will be franchised, so expect a lot of interest in the proposed American teams of Las Vegas, Los Angeles, San Francisco, New York, Toronto and Sao Paolo, and maybe a little less excitement about the proposed teams coming from London (why not Nottingham? ), Paris, Moscow, Prague, Hong Kong and Barcelona. 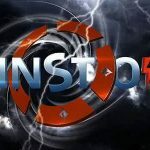 Three of the five players in each team will be drafted in a special GPL Draft Day which is likely to be televised, or at least live-streamed. Only players in the top 1,000 of the Global Poker Index will be draftable. The other two players can be selected as wild cards. The reason for this wildcard exception is so that spectators will be able to follow the “player-of-the-moment” if they do not have sufficient history to make it to the top of the Global Poker Index. We’ve been talking and working tirelessly for a long time about how ‘We Sportify Poker’ and the launch of the Global Poker League is a great stepping stone on our route to achieving that. 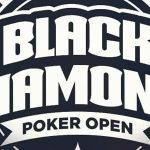 This isn’t going to be ‘yet another poker event’ – we’ll be bringing something new and exciting to the table. Personally, we cannot wait for tasters 2 and 3 due later this month.